Galue, Walölö and Waïmo prepare for the wedding of their Grand Chief. We are in the district of Gaica, one of the three subdivisions that make up the island of Drehu (Lifou, Loyalty Islands). 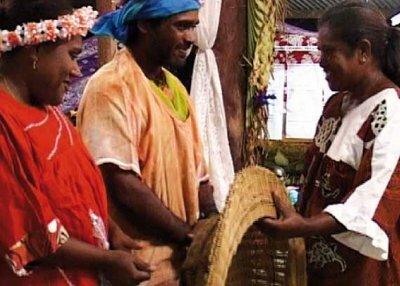 Major preparations are underway for this marriage, as this rare ceremony will be an opportunity to reveal some sacred places and share many stories. Come and be part of this unique event, along with the people of this district.